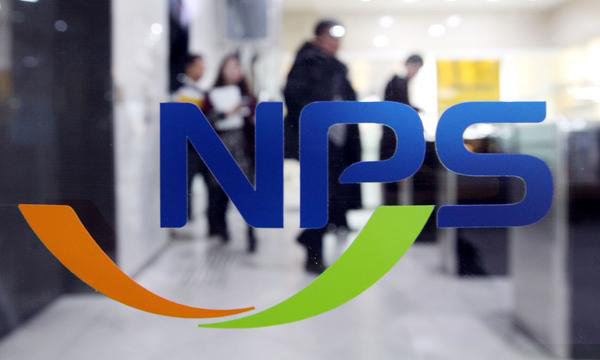 South Korea’s top institutional investor National Pension Service (NPS) remained mostly passive in exercising voting rights in the companies it invests in despite adopting the stewardship code last July. The pension fund took part in 768 shareholder meetings and cast votes on 2,864 corporate agendas in 2018, according to files submitted by the NPS to the National Assembly on Thursday. Data showed that it voted in favor of 2,309 motions, or 80.6 percent of all cases, and against 539 motions, or 18.8 percent out of the total. It abstained on the remaining 16. Its veto rate had jumped considerably compared with the years prior to the stewardship code when they had averaged 10 percent. But a closer look showed that out of the 539 no votes, only five resulted in a full dismissal. In July 2018, Korea introduced the stewardship code, a guideline that encourages institutional investors to be more vocal when exercising their shareholder rights. Pressure was especially high for the NPS to adopt the new policy as it was not only Korea’s largest institutional investor but the world’s third-biggest pension fund with 630 trillion won ($563.3 billion) of assets under management, with 20 percent devoted to Korean stocks. Under the guideline, the pension fund is required to monitor companies in which it holds a stake of more than 5 percent and actively engage in management decisions that go against the interests of shareholders, such as low dividend payouts, embezzlement and other business misdeeds.